There are only two people who matter when it comes to the crisis in Ukraine. They are Vladimir Putin and Angela Merkel. As it happens, both speak the other’s language. When Putin was a KGB officer, he was assigned to the German Democratic Republic (East Germany). That happens to be where Mrs. Merkel grew up, living in a country dominated (even controlled) from Moscow. They should understand each other. In the West, the crisis in Ukraine and particularly the Crimea is seen in ideological terms. The thinking is that the Ukrainian people overthrew a dictator and want democracy; that the Russians forcibly took Crimea, thereby thwarting an honest election. Forget ideology, realpolitik is more applicable here. Mrs. Merkel will be familiar with realpolitik, a term that originated in Germany in the 19th century. The closest equivalent term in English is ‘power politics.’ The greatest proponent of realpolitik was Otto von Bismarck, Mrs. Merkel’s predecessor during Germany’s rise to unity and preeminence in Europe. Mrs. Merkel is leading Germany through a similar period in history today. Realpolitik is not a negative term in Germany. It simply refers to realistic politics as against idealistic politics. An example of this was illustrated a few days ago when President Obama called for economic sanctions on Russia. Mrs. Merkel disagreed with the US president. Realpolitik has to face the fact that Germany and other countries in western Europe depend on Russia for their natural gas. How can they slap sanctions on Russia? Realpolitik, then, refers to realistic politics, as against unrealistic politics, which is often the basis of western (US) policy. For example, Iraq and Afghanistan. Anybody familiar with the history of these two countries would never have tried to impose a democratic system on them. Motivated by idealistic notions of spreading democracy, the US and its allies tried to introduce a democratic system in both countries but there’s no sign democracy works in either one. In the present world crisis, realpolitik makes clear a simple fact – Russia needs the Crimea for its own national security. For centuries the Russians sought after a warm water port, as St. Petersburg and Murmansk freeze over in winter. They finally got what they wanted in 1783 when Catherine the Great’s forces defeated the local Tartars and Crimea became a part of Russia. It was Nikita Kruschev who gave the region to Ukraine in 1954, supposedly when he was drunk. It didn’t matter then as Ukraine was a part of the Soviet Union. In 1991, with the collapse of the USSR, Ukraine got its independence and kept the Crimea. Russia still had access to its essential port facilities. But when Ukraine’s pro-Russian government was overthrown last month, it was time to act – and act decisively. Russia is not leaving. That’s realpolitik. Could this now lead to a split between Germany and the US? Could NATO fall apart? The Germans have not been treated well by Washington in recent years. Edward Snowden’s revelations showed spying on one of America’s key allies, even down to listening in to Mrs. Merkel’s mobile phone calls. Just last month, Victoria Nuland, a US State Department Spokesperson, in conversation with the US Ambassador to Ukraine, used the “F” word in connection with the EU, a 28-member organization whose de facto leader is Angela Merkel. Perhaps its time for the US State Department to buy multiple copies of “How To Win Friends and Influence People,” to be read by each and every member of the organization! They are, after all, in the business of diplomacy. Use of gutteral Anglo-Saxon terms is hardly diplomatic. 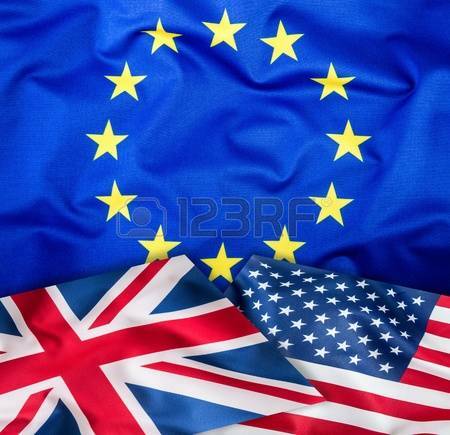 Washington seems to be out of date in its perception of European affairs. London, being closer, is more perceptive but still not totally clued in. Mrs. Merkel visited London one day last week and spoke to a combined audience of members of both Houses of parliament. She made it clear that she wants the UK to stay in the EU. British Prime Minister David Cameron has promised a referendum on Britain’s membership in 2017, if he is still prime minister at that time. None noticed the irony, a very real irony. Exactly seventy years ago, Britain was at war with Germany. The leader of Germany had invaded most of the countries on the continent but had failed to conquer the United Kingdom. Once again, Germany dominates Europe. Realpolitik invited Mrs. Merkel to speak to the British parliament – she is now the de facto leader of Europe. Her power and that of Germany stretches from the British Isles in the west to the Ukraine and Crimea. The EU has played a major role in the events of the last few weeks. Germany and the EU, together with Russia, are at center stage in the Ukrainian crisis. 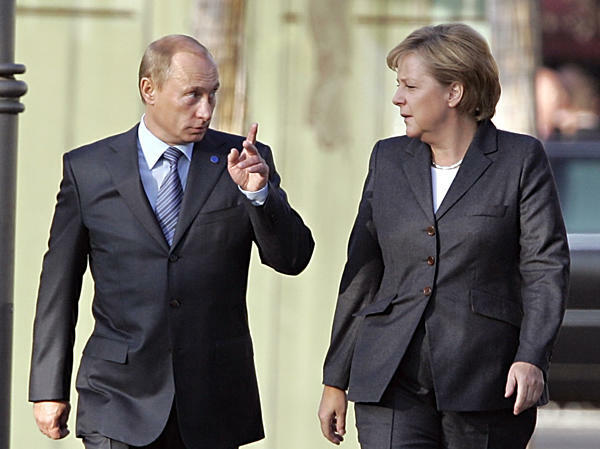 A German dominated EU must reach an accommodation with a resurgent Russia. 75 years ago, an unexpected pact between Russia and Germany turned the world upside down and led directly to World War II. Could a similar pact happen today or at some time in the near future? Realpolitik will determine the final outcome of the Ukrainian crisis, not ideology.